Director Bill Condon’s work has included such Oscar winners as Dreamgirls, Kinsey and Gods & Monsters. His nuanced and subtle cinematic adaptation of Mitch Cullin’s novel A Slight Trick of the Mind featuring Oscar nominee Sir Ian McKellan as the elderly and doddery Mr Holmes is a pleasure to watch if audiences can get through the first half an hour. McKellan (Gods and Monsters, The Da Vinci Code, Richard III) is brilliant as the aging Mr Holmes who has to grapple not only with old age but all the ghosts of his pasts, primarily two unsolved cases, one involving a Japanese man whose father mysteriously never returned from England during World War II and another involving a husband trying to discover what his wife is involved in. It is refreshing to see Sir Ian McKellan return to some a more resonant subject in this role, which is ever so complex, fascinating and beautifully told after a decade acting in The Lord of the Rings trilogy and also The X-Men franchise. 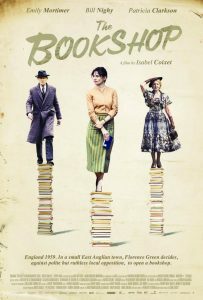 Director Bill Condon, with a stroke of genius, casts Oscar nominee Laura Linney (Kinsey, The Fifth Estate) as the long suffering house keeper Mrs Munro, whose husband was abruptly killed in the Second World War and has only her young son Roger, wonderfully played by Milo Parker to keep her company. As the mother and son look after the aging and infamous Baker Street detective, Mr Holmes must search his ever failing memory to reignite the images of what made these two cases so extraordinary. In a series of multiple flashbacks, including an entire sequence set in Japan, Hiroshima to be specific just after the atomic bomb has obliterated the city, Mr Holmes visits Tamiki Umezaki gracefully played by Hiroyuki Sanada last seen in the excellent war film, The Railway Man, who continually questions Mr Holmes about the mysterious disappearance of his father in England during the War and the possible reasons for abandoning his young son and wife back in Japan. 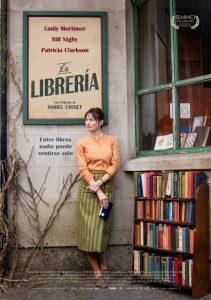 In the second more intricate case, the great detective whose cases have been studiously reproduced in literature and on film, a husband approaches him to find out what his wife is really up to. 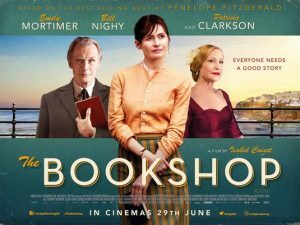 British actor Patrick Kennedy (Atonement) and Hattie Morahan (The Golden Compass) play the estranged Thomas and Anne Kelmot. 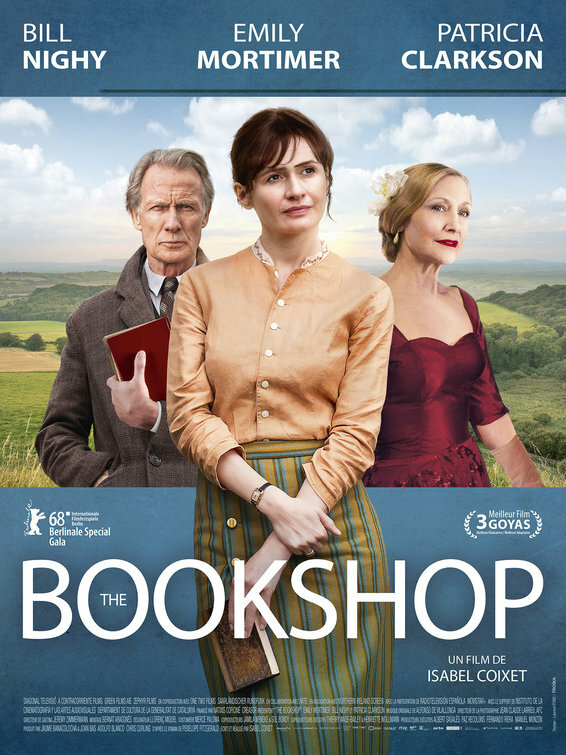 It is really the scenes between Laura Linney and Ian McKellan which are priceless as Mrs Munro soon realizes that her son has become attached to the eccentric Mr Holmes and insists on helping him keep an apiary at their home in the Southern coast of England. 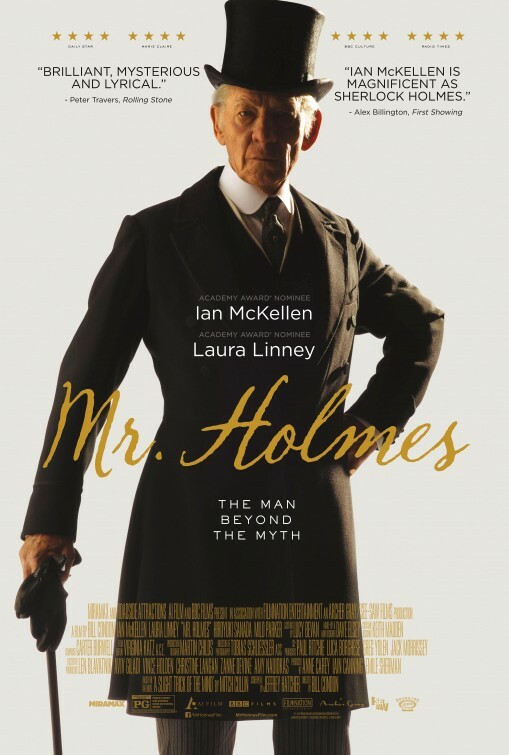 Cinematically, Mr Holmes is not everyone’s cup of tea, but is a delicate character study of a famous man who is in the twilight of his years, whilst none of his eccentricities have been lost, despite his self-imposed exile. Recommended viewing for those that enjoyed Hyde Park on Hudson and lesser known films by Merchant Ivory such as Jefferson in Paris or The Golden Bowl.